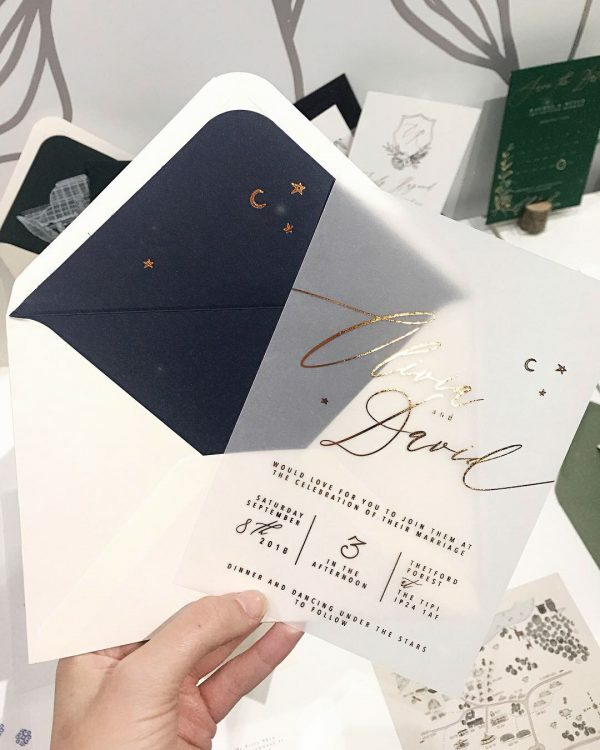 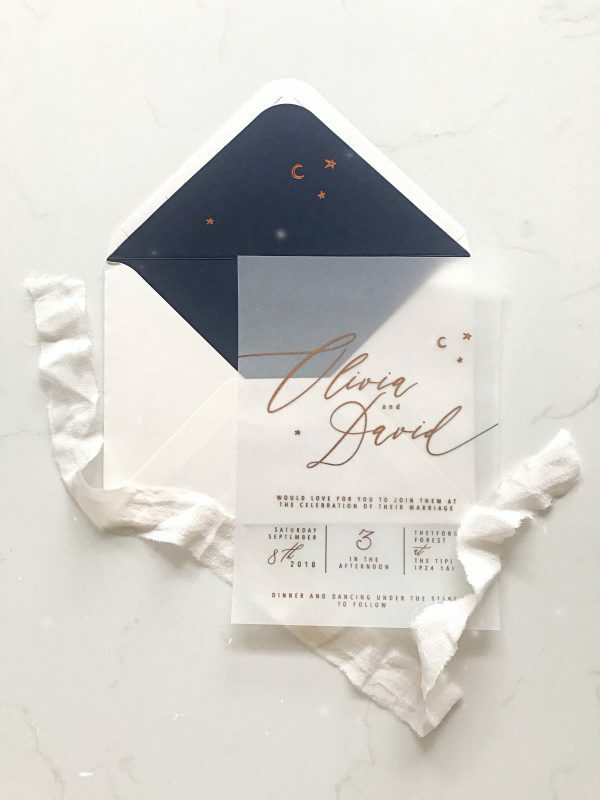 Under the Stars – Vellum and foil taking centre stage. 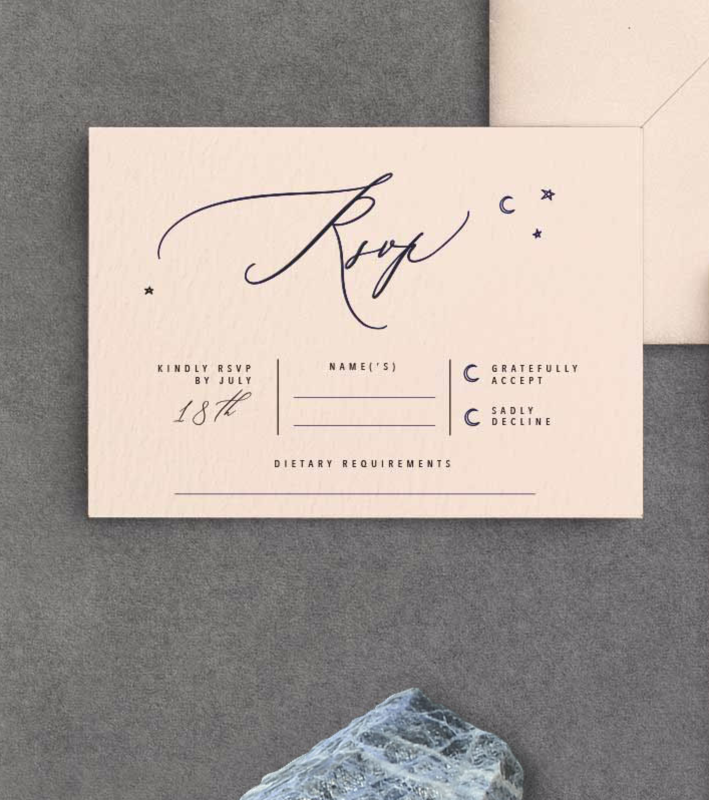 Printed on Imperial Blue card with white ink. Do get in touch if you require a specific colour. 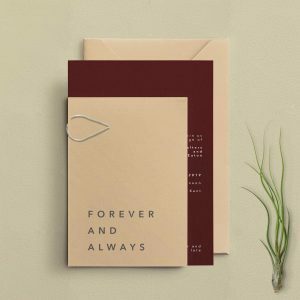 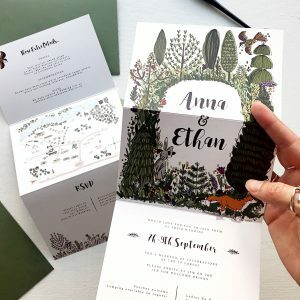 An alternative to the Luxury Envelopes & Liners. 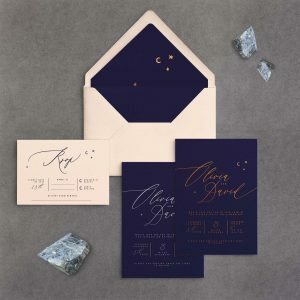 Under the Stars – using colour and foil to create a celestial customisable suite. Invite: 5×7 Vellum with Digital Foil. 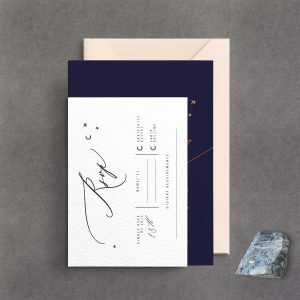 Either silver, copper, gold or rose gold – Please choose your preference. 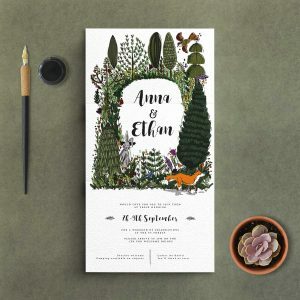 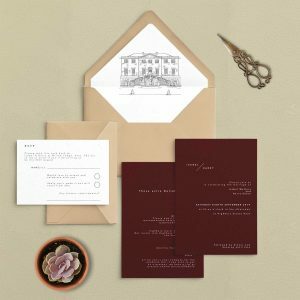 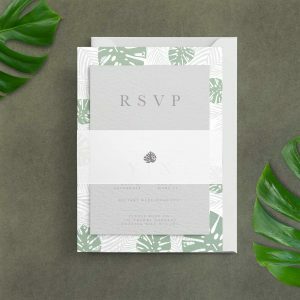 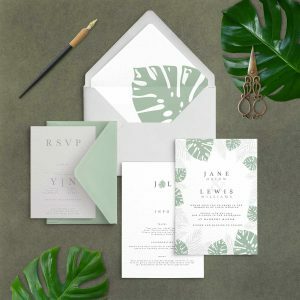 RSVP: A6 350gsm Vellum White (Blush) card double sided with printed rsvp address and space for a stamp. Postcard style. 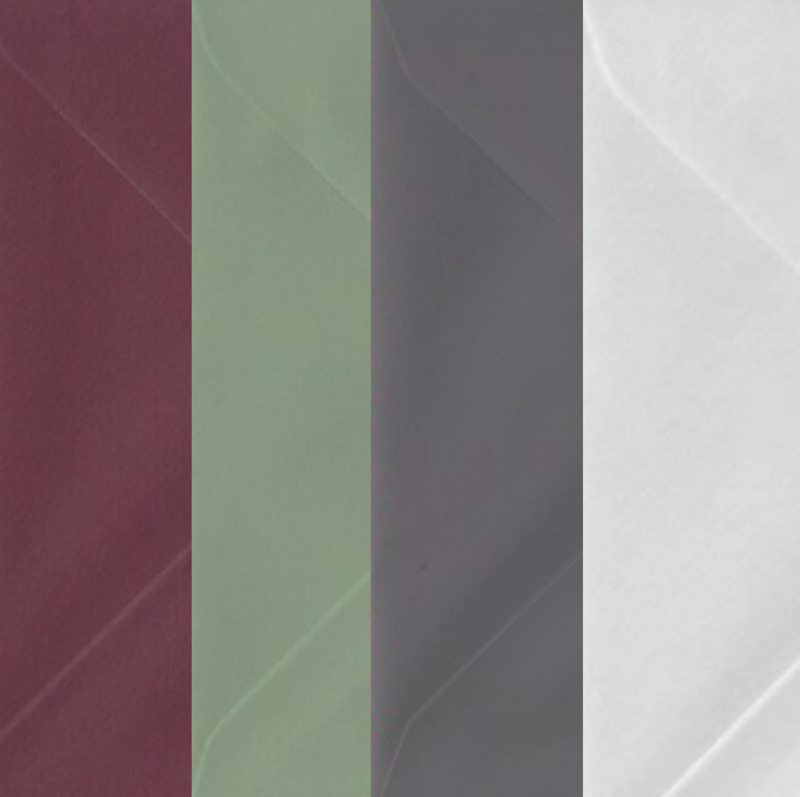 Standard Envelope: There is an option to have a standard envelope in a choice of colours.